My latest short story is out in the current issue of Galaxy’s Edge magazine, which means it will remain free to read online for the next two months. After that you will need to purchase an issue in order to access the story. “Diamonds in the Rough” is the tale of alien contact set in the chaotic days of post-Soviet Union Russia circa early 1990s. In other news, submissions are now closed for UFO7. We received 790 stories and are reading through the last of them over the next couple of days. After that I’ll be re-reading the second look pile and making final decisions. As is the case each year, there’s already more good material than we can use, so it’ll be a matter of balancing the TOC. I’ll post updates on Twitter so those still in convention know the status of the subs. Also, I recently sold a pair of reprints to new anthologist Eric Fomley, who’s seeking to promote flash- and micro-fiction (goals I find to be quite worthy!) Timeshift will be an anthology of time-travel and time-dilation flash fiction forthcoming later this year (and featuring some excellent writers that I’m aware of!) but first up is Drabbledark: an anthology of dark drabbles. A drabble is a story that’s exactly 100 words. This project is currently on Kickstarter and has a modest funding goal, so take a look at it here. That’s a whole lot of tiny stories for only three bucks. ETA: Oh hey, this totally snuck up on me, but the new issue of Intergalactic Medicine Show is also out! It includes my humorous flash tale, “Customer Service Support Ticket at All-American Wizardry Supply and Custom Floor Mat Emporium” in print and audio, however you have be a subscriber to access it currently. This story is what it sounds like. It’s about golf. With aliens. Played to the death. What’s not to like? “Golf to the Death” takes place in the same universe as “The Dragon Ships of Tycho” and “The Sgovari Stratagem,” except neither of those stories are at all funny, whereas this one is humorous and should hopefully remind readers of the Retief yarns by Keith Laumer. It’s free to read at the G.E. website for the next 60 days. After that – or at any point, really – you can purchase the issue! The July issue of Galaxy’s Edge is now live, and you can read my novelette, “Islands in the Sargasso”, for free — but only for the next couple of months, until the September issue is released and then you’ll have to buy the issue. So, read now! It has alien invasion fleets, a galaxy-spanning conspiracy, and drug addiction. 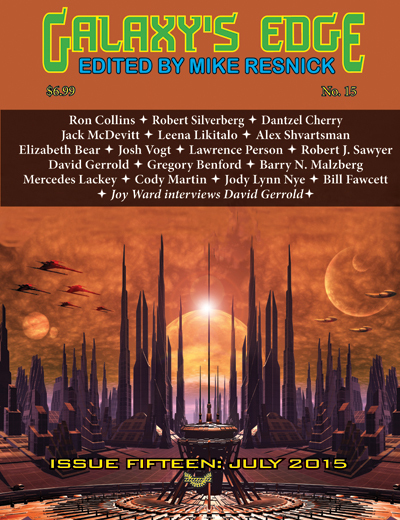 I always love being published in Galaxy’s Edge — not only because it’s edited by Mike Resnick, whom I greatly admire, but also because I get to share the table of contents with all kinds of cool people. Just look at the above! At 8000 words, “Islands in the Sargasso” will briefly become the longest piece of my fiction available — but only briefly. The H. G. Wells, Secret Agent novella is coming out very soon! In fact, July 2015 will have more new words written by me released into the world than any month prior. I’m super excited! Terry Pratchett, best known for his series of Discworld novels, was one of the most important voices in speculative humor. His work had a profound influence on generations of writers, and brightened lives of millions of readers worldwide. I never personally met him or got an opportunity to work with him, and feel there is little I can say to add to the loud chorus of voices more eloquent and more relevant on this subject than my own, but I will say this: whether you are a long-time fan or are learning about him now, should you wish to honor his memory, the best way to do so is by reading (or re-reading) one of his books. A few years ago I reached out to Mr. Pratchett to see if I might be able to acquire a reprint (or, who knows, even an original story!) for one of the UFO volumes. 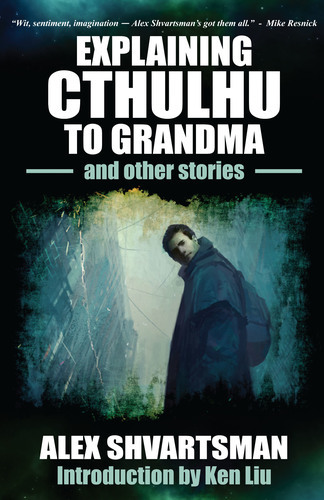 His agent got back to me and declined to sell me a reprint, because there would be a short story collection coming out soon and he wasn’t interested in shopping short story reprints around, at least not at the rates UFO could afford. And so I didn’t get to publish Terry, but although this collection took longer than expected, it is actually coming out in less than a week. 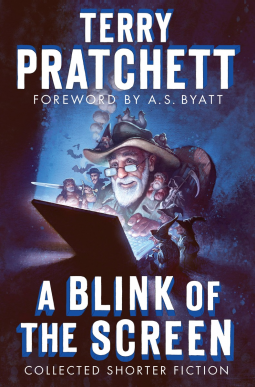 I’ll be picking up a copy of “A Blink of the Screen” and humbly suggest that you do so as well. * The Unidentified Funny Objects 4 Kickstarter campaign is going well. After three days, we have nearly 120 backers and are only a few hundred dollars away from 50% of the funding. 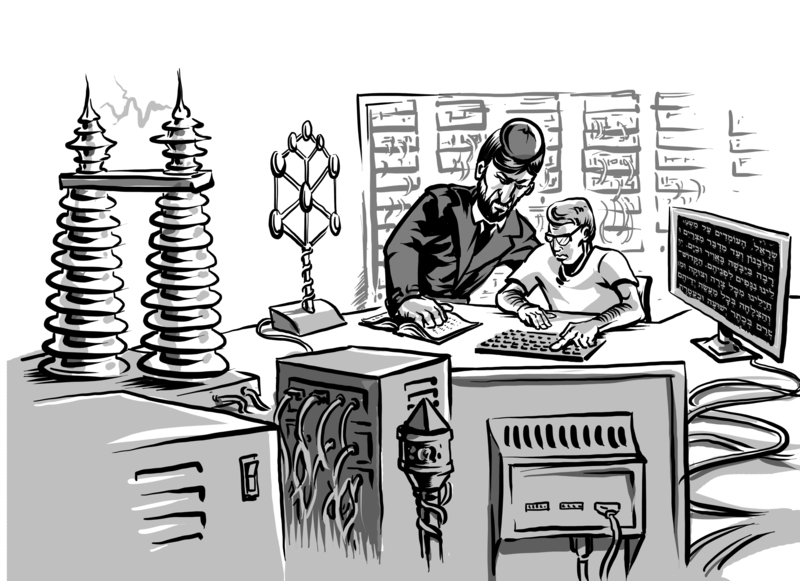 There’s always a slow-down in the middle (offset by lots of activity in the first few and last few days of the campaign), but momentum counts, so if you plan on backing this book, please don’t wait for the last day! * I accepted a flash story by Brent C. Smith titled “The Transformation of Prince Humphrey” for UFO4. I read an earlier version of this story in a contest we both participated in, and out of 200+ stories I read for that contest it was my favorite. So I reached out to him and, after a few rounds of edits, accepted the updated variant of the story for the book. Don’t worry though: there’s plenty of room for stories that will come in during the open submission period next month! * Two of my own stories found new homes (well, the same home, actually.) Mike Resnick accepted both for publication in Galaxy’s Edge. “Islands in the Sargasso” is an 8000-word space opera novelette in the shared world setting regular readers of Galaxy’s Edge are already familiar with. I had the pleasure of advancing the setting by 200 years and allowing humans to finally escape the confines of our solar system — but you’ll have to read the story to learn the details. “Dreidel of Dread: The Very Cthulhu Channukah” is one of the silliest humor flash pieces I’ve ever written. It makes fun of saccharine Christmas specials, uses copious amounts of Jewish humor, quotes both Einstein and The Ghostbusters film… and, of course, there’s Cthulhu! Both stories should be appearing in GE later this year.